Strategic relocation (as a therapy) is becoming more popular, and the term relocation therapy is now on people's lips and in people's thoughts. Moving in times of trouble, difficulty or need is becoming a recognized form of self-therapy. The site of relocation is important. It needs to meet your needs and those of your family, while offering new opportunities for the future in the new environment that you choose. Relocation Therapy can be for strategic reasons. The benefits may include a fresh environment, less time spent on commuting, to resolve that feeling of needing 'to get out of here' or a chance to start over. All these factors and others can help people feel more involved with and in control of their lives, and hence happier about themselves - they are all ways to improve self-esteem and enhance our experience of life. 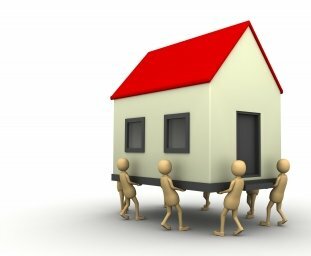 Is (Strategic) Relocation Therapy for Real? People move for many reasons. Some would say they're running from their problems, but what about in cases of the tragic loss of a loved one? In many ways, kids find a whole new life when families relocate to a better school district. It's also a way to deal with difficult breakups or even start a new life after marriage together in a new city, and NY real estate certainly has its appeal for newlyweds. Still, there is something so fantastical about researching new places to live. You see it all the time, like "Top 10 Safest Places to Live" or "Best City to Find a Job." Finding a new place to live may be just the thing to change your life for the better, but it does depend on the situation. For couples, living somewhere new can be a kind of rebirth of their life and relationship together. Marriage is seen as combining everything, but that can be difficult if you stick around the same old places that you used to go out with other people. In addition, couples go through difficult periods. It's even harder to work out problems if fights or affairs have tarnished your home. In these cases, relocation self-therapy is especially helpful and can lead to a fresh start for couples in trouble. Every kid has gripes about school, but when those gripes really turn into pleas for help or a lack of interest in activities, you should really think about the future of your child where you live. Moving some place new could mean so many times, possibly even a better school system with the right art or dance programs to indulge a creative mind or just a place with top academic programs and schools. It's always worth it to relocate for a child's future. Who likes their job? Actually, a lot of people do, but many had to travel a great distance to find that dream job. Strategic relocation therapy works wonders for people in specific fields that may be just don't have the right employers in their area. For example, so many programmers and tech savvy individuals move to Silicon Valley or New York City to find a dream job or even create their own businesses - the site of relocation is so important. Moving to a new area allows for you to expand your networking possibilities while also allowing yourself to be available for endless opportunities in different companies. Control is the largest benefit of strategic relocation therapy. Rather than feeling like a trapped pawn, someone who relocates regains that sense of making their own decisions and feels a restored power from having a say in how their own life is run. Redemption is another great advantage of relocation. It is perfectly understandable that you might feel a sense of failure or regret when things don't work out as expected. Relocating gives you the chance to escape those feelings and have a new crack at success without the burden of dissatisfaction carrying over into this new chapter and another of the self therapy ways to improve self-esteem. Strategic Relocation Therapy can proceed in giant strides or in baby steps, as well as in every way in between. You can speed up the process or slow it back down, but the thing of most importance is that you can get started on it today. This article was written by Ken Torrino, web relations for Elliman, brokers for New York City real estate. Strategic Relocation Therapy is another option for those seeking to resolve life issues and feel better about themselves. It is another of the ways to build and to improve self-esteem, and increase their self-respect. Relocation takes guts and determination and is a big step. But once accomplished the participants can see life in a new and more rewarding way. But it should not be entered lightly. As for most things there are pros and cons. Some of the cons are as follows. A new site of relocation? What questions might you have? What do you need to consider or think about? It will be hard work, but nothing is achieved that is really meaningful unless you put some heart into it, and some effort too. You have to decide if the pros outweigh the cons. And if your new life can give you the benefits that you crave. At the end of the day it has to be your decision. Don't make a hasty decision or procrastinate either. Sleep on it (and several times! ), think about, discuss it, investigate it, and evaluate all your options (should I stay or should I go?). Let it sit and get on with life. If it keeps returning to your thoughts and your attention, then perhaps it needs your serious attention. I hope that you found this joint collaboration useful. Let me know by sending me your feedback using this link. "We are continually faced by great opportunities brilliantly disguised as insoluble problems. " "Problems do not go away. They must be worked through or else they remain, forever a barrier to the growth and development of the spirit. " "You don't know what you can get away with until you try. " "Let me tell you the secret that has led to my goal: My strength lies solely in my tenacity. " "They cannot take away our self-respect if we do not give it to them. " "Each problem that I solved became a rule, which served afterwards to solve other problems. " "A person's worth in this world is estimated according to the value they put on themselves. "